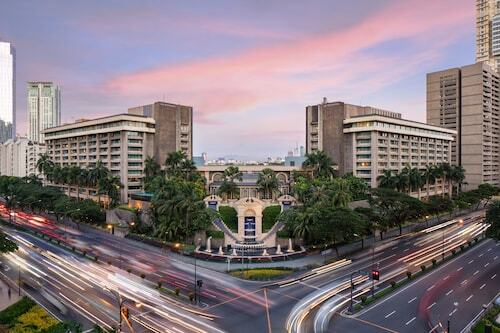 Strategically located in the central business district of Makati City, Makati Shangri-La Hotel, Manila is within walking distance of the Ayala and Greenbelt Shopping Centers. 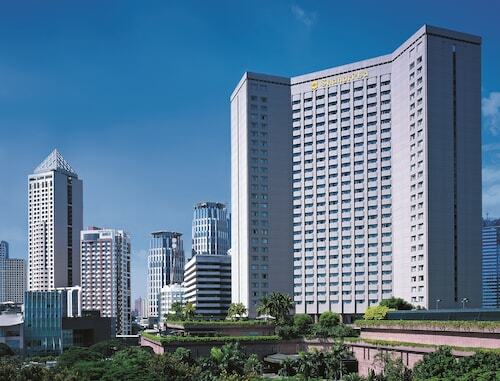 The 5-star Dusit Thani Manila hotel is right in Makati, Manila's financial center, a 15-minute drive from the World Trade Center. The Ayala Museum is 12 minutes on foot, and the mega shopping malls of SM Makati and Glorietta even closer. Manila International Airport is an 8-minute drive. 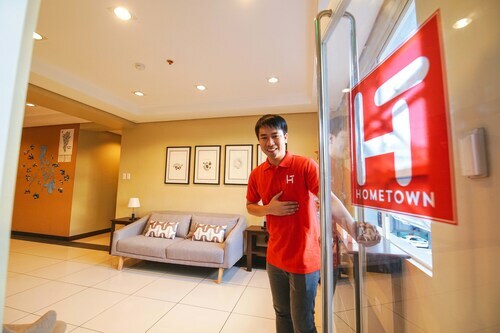 This family-friendly Makati hotel is located in the entertainment district, within a 10-minute walk of Asian Institute of Management, Greenbelt Shopping Mall, and Ayala Center. Glorietta Mall and SM Makati are also within 15 minutes. Ayala Center Station is 10 minutes by foot and Ayala Station is 10 minutes. 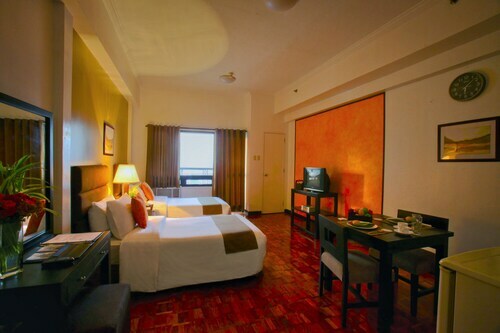 This family-friendly Makati hotel is located in the business district, within 2 mi (3 km) of Makati Medical Center and Fort Bonifacio. SM Mall of Asia and Rizal Park are also within 6 mi (10 km). Ayala Station is 12 minutes by foot and Ayala Center Station is 12 minutes. 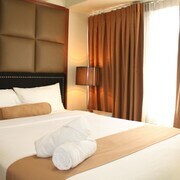 Located in Downtown, this hotel is within a 5-minute walk of Century City and A. Venue Mall. Ayala Center and Greenbelt Shopping Mall are also within 1 mi (2 km). Buendia Station is 22 minutes by foot. 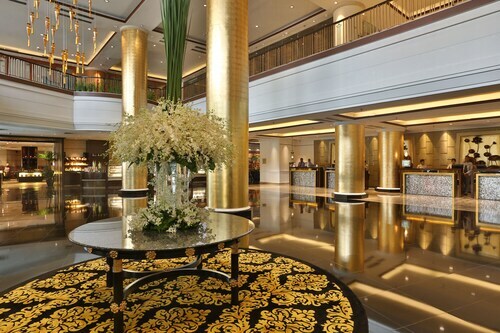 Situated in Makati, this hotel is within a 10-minute walk of Century City and A. Venue Mall. Ayala Center and Greenbelt Shopping Mall are also within 1 mi (2 km). Buendia Station is 20 minutes by foot and Ayala Station is 28 minutes. 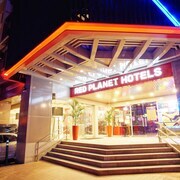 Situated in Makati, this hotel is within 1 mi (2 km) of RCBC Plaza, Makati Medical Center, and Greenbelt Shopping Mall. Ayala Center and Glorietta Mall are also within 2 mi (3 km). Manila Buenidia Station is 8 minutes by foot and Manila Pasay Road Station is 17 minutes. 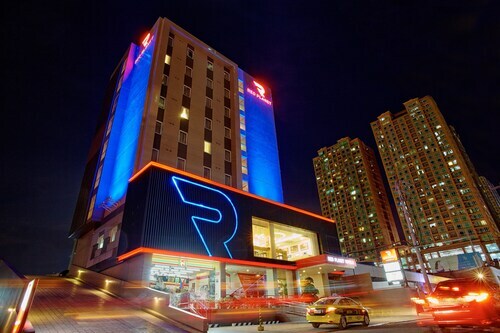 Located in the heart of Makati, this hotel is 1.1 mi (1.7 km) from Fort Bonifacio and within 3 mi (5 km) of Makati Medical Center and Ayala Center. Resorts World Manila and SM Mall of Asia are also within 3 mi (5 km). Manila EDSA Station is only a 4-minute walk and Manila Pasay Road Station is 18 minutes. 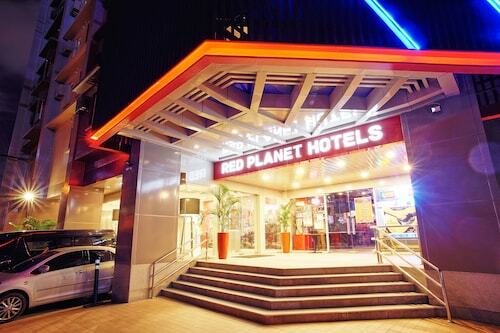 Situated in the business district, this luxury hotel is within a 10-minute walk of Glorietta Mall and SM Makati. 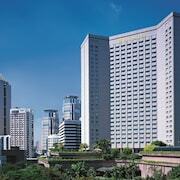 Greenbelt Shopping Mall and Ayala Center are also within 15 minutes. Ayala Station is 8 minutes by foot and Ayala Center Station is 8 minutes. 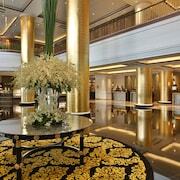 How Much is a Hotel Room in Makati? 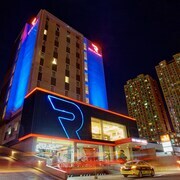 Hotels in Makati start at $19 per night. Prices and availability subject to change. Additional terms may apply. Are you looking for an urban escape that can also tempt you with world-class shopping, art, and cuisine? 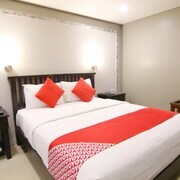 You can book vacation packages to Makati through Travelocity, and make your travel dreams to the Philippines come true. Known as the Financial District, Makati is part of metro Manila. The towering buildings and bustling streets it boasts today are a far cry from its agrarian beginnings. Want to learn more about the history of the Philippines? Make your first stop a trip to the Ayala Museum. 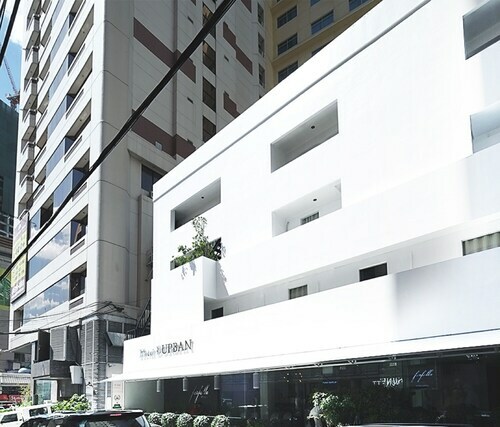 Close to Makati hotels, the museum features an impressive collection of contemporary art, as well as archaeological artifacts that tell the story of the country. If shopping is part of your plan, set aside significant time to explore the Greenbelt Mall. Rather than a single structure, it has five separate sections, each sporting unique architectural features, restaurants, and, of course, stores. 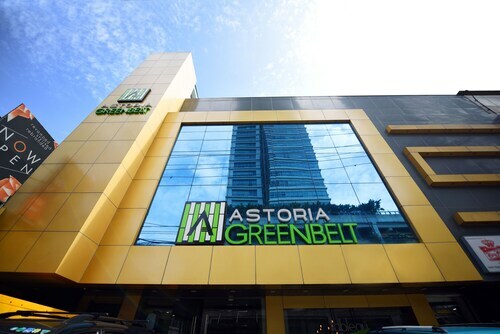 Not just a retail hub, the Greenbelt Mall has become an entertainment and community hub as well, and it's easy to get to from cheap hotels in Makati. Need a spot to relax and reflect in the city? Wander through the public art of Ayala Triangle Gardens, or take to the footpaths along the fountains of Washington SyCip Park before heading to The Collective to enjoy the live music and artsy shops. For cheap treats and traditional tastes, visit the Salcedo Saturday Market, or try the restaurants and karaoke bars on Jupiter Street. Sample fresh lumpia or seafood dampa while listening to local musicians. For a modern, urban scene, the eateries in the Greenbelt, close to hotels in Makati, offer up pork and banana simmers, beef mechado dishes, and leche flan that will make your mouth water. Ready to check Makati off of your travel bucket list? You can search over 400 airlines and more than 510,000 hotels worldwide on Travelocity—which means that finding budget-friendly Manila flights and accommodations are only a mouse-click away. In the heart of makati. 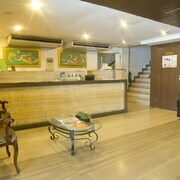 Walking distance to all of makati’s malls and restaurants wonderful place. Highest end address. Good location. Great customer service. Enjoyed staying in the area. location and atmosphere. Like it. Room Carpet don't like it.